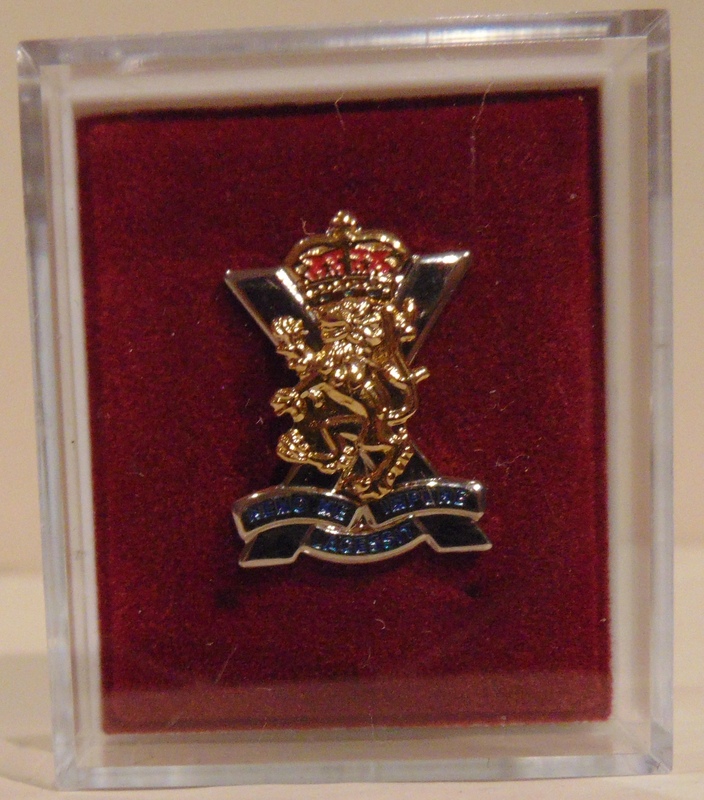 Queen's Own Cameron Highlanders crested lapel badge. 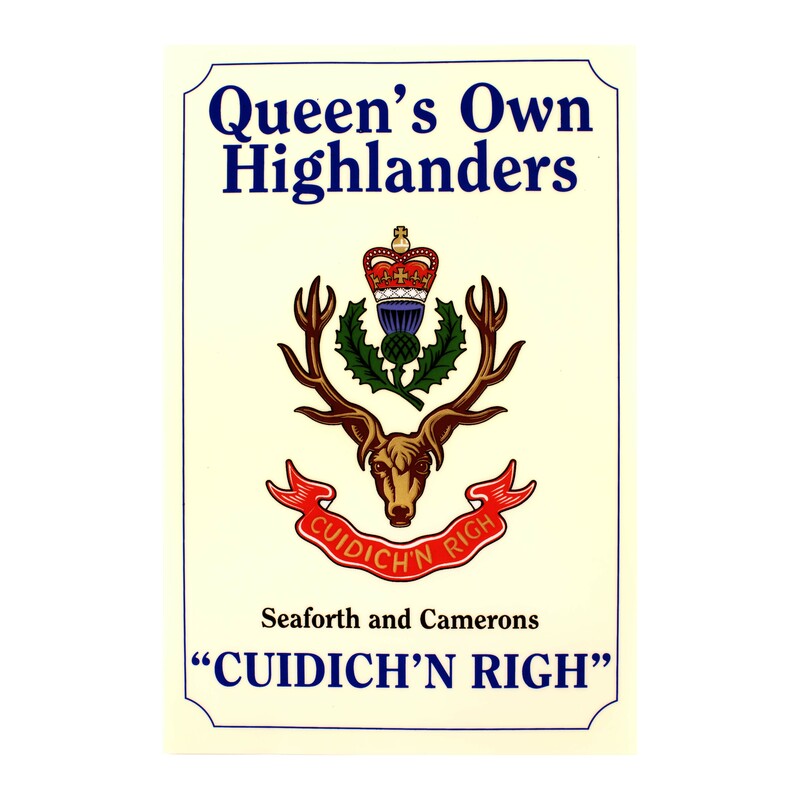 Queen's Own Highlanders(Seaforth and Camerons) lapel badge. 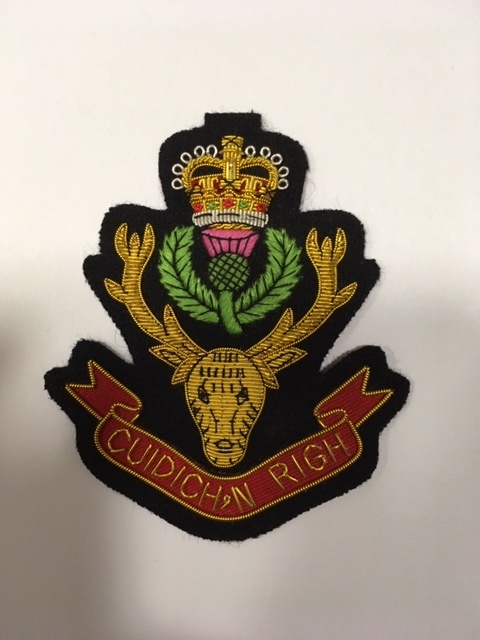 The Queen's Own Highlanders (Seaforth and Camerons) lapel badge. 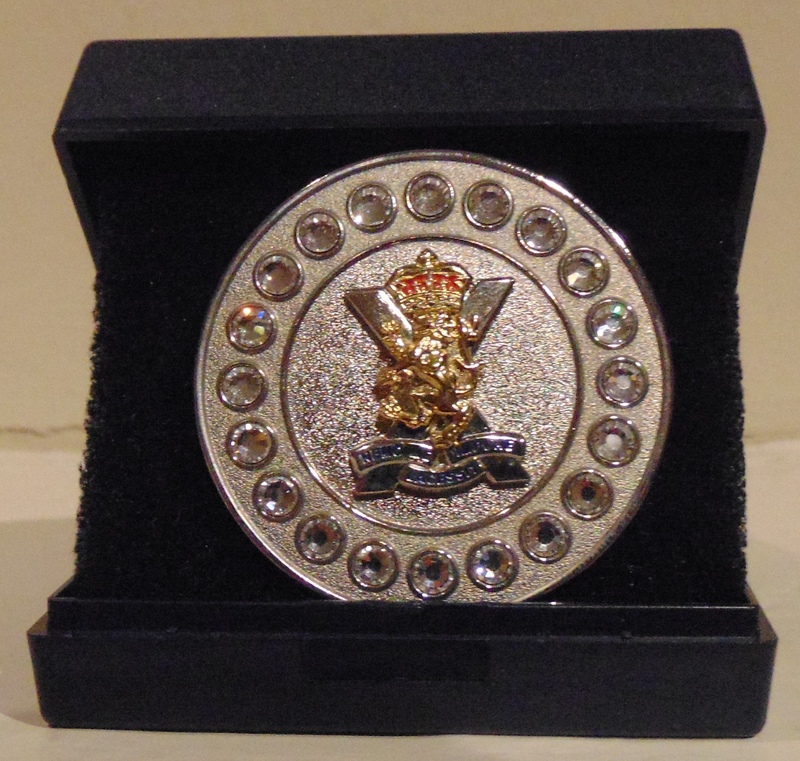 Oval Pin badge featuring Queen's Own Highlanders crest with veterans banner at the bottom of badge. 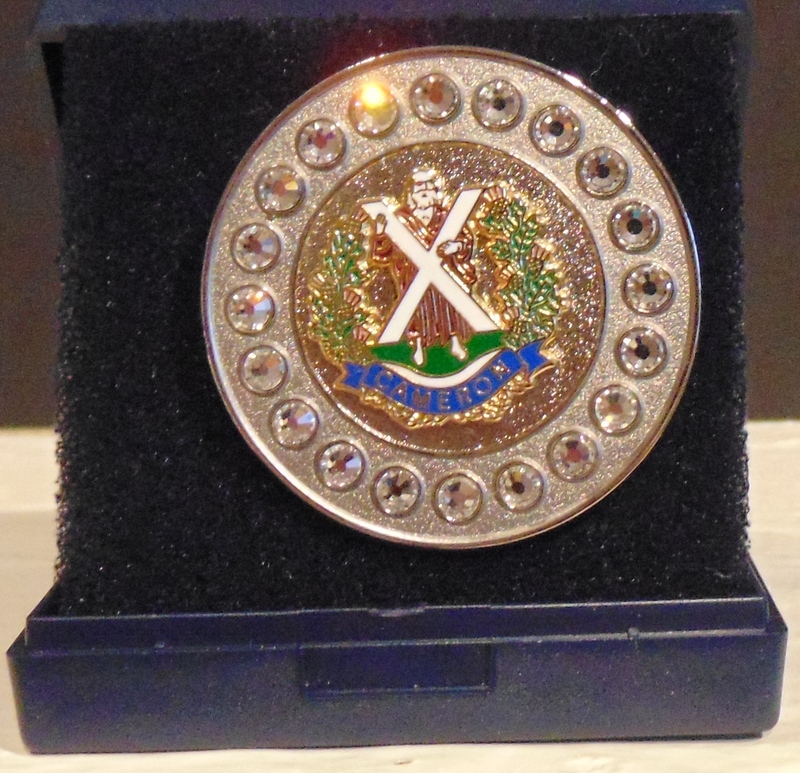 Size of badge is 25mm x 21mm. 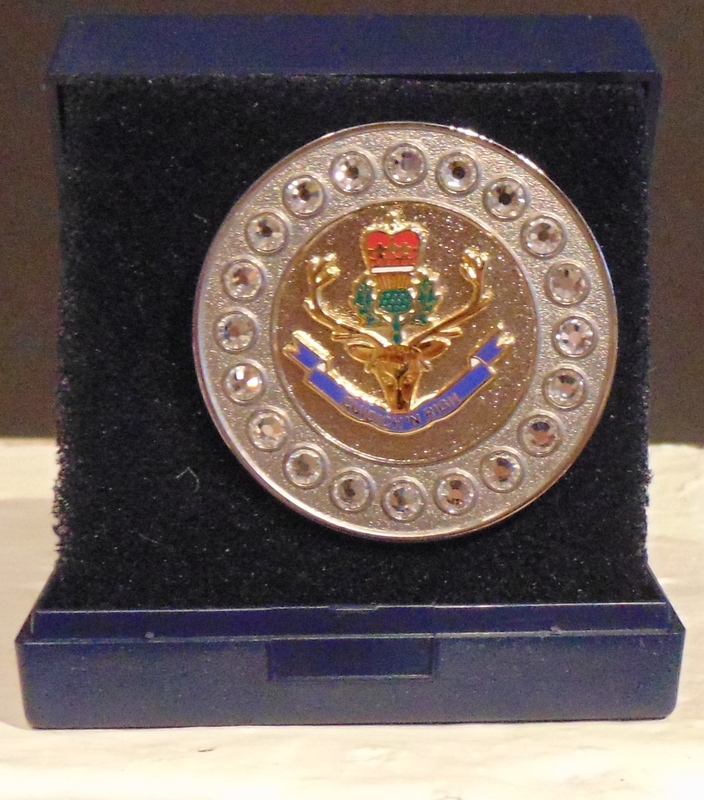 Enamel pin badge with The Queen's Own Highlanders Blue hackle and Crest set against poppy. Size of badge is 3cm x 2.3cm. Only available from The Highlanders Museum. 2 Piece - Flat with backing plate. 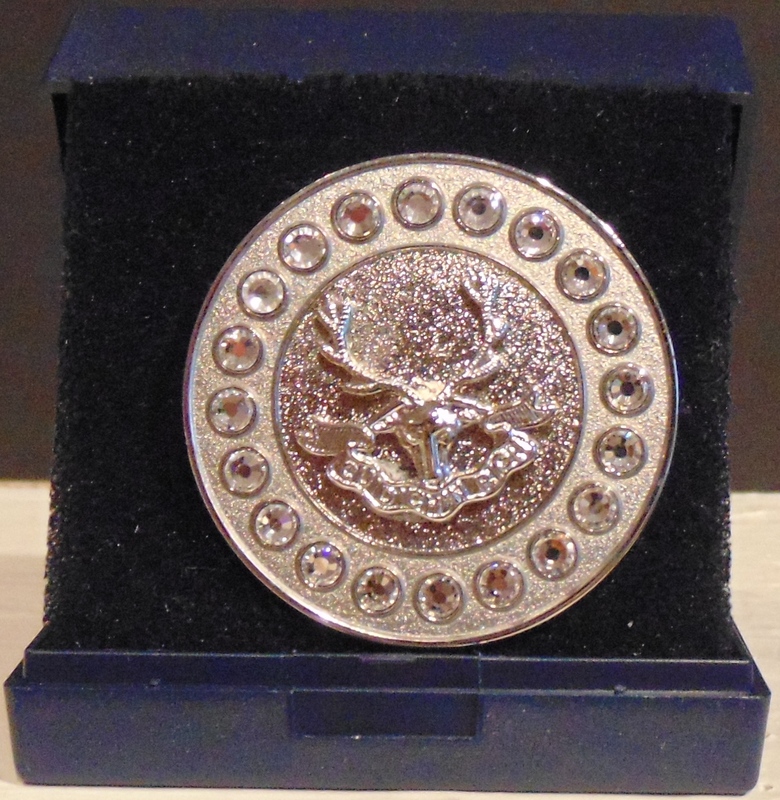 Miniature 1-piece Queen's Own Highlanders brooch. Finely detailed, gun metal finish. Size of brooch is 3.5 cm x 2cm.